Knuckle Down Farm is a small Organic Market Garden and CSA farm near the towns of Stirling and Frankford, Ontario. The one acre garden is planted intensively and most work is done using hand tools with a little help from a walk-behind BCS tractor. We attend a Farmers’ Market in Toronto as well as running a 40 member CSA in both Toronto and on the Farm. Knuckle Down Farm is primarily a one woman operation, I grow a wide variety of vegetables as well as some herbs and flowers in between entertaining two small children. The successful candidate would work both alongside the farmer and often independently during the season with tasks such as weeding, bed prep, transplanting, seeding, harvesting, market and CSA preparations and any other jobs that arise around the busy farm! 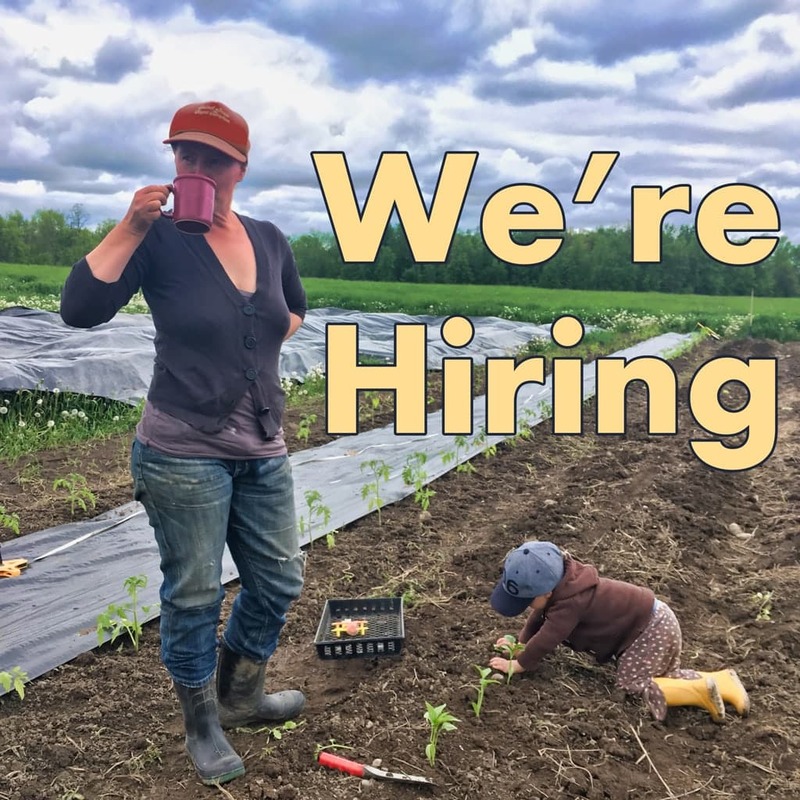 Ideally, we’re looking for an employee who has some previous experience with organic farming, but candidates with an interest in market gardening and a willingness to work hard and learn will also be considered. Access to your own transportation to and from the farm is required as there is no housing available on the farm, it may be possible to find short term housing in a nearby town (Belleville/Trenton/Stirling/Frankford/Campbellford). Camping on the farm is a possibility, but you would need to provide your own Trailer.